e-Attendance is a employee attendance process management solution designed to help you streamline, consolidate and rationalize attendance operations and processes across your organization. EcosAgile Time is a Cloud presence system software, which offers a simple management of all phases: from requests for absence to approvals, from management of holiday plans to stamps. Eco Time provides a single platform to eﬀectively manage your workforce with Time and Attendance, Access Control, Labour Costing, HR and Leave Management. Tailored systems with biometric time and attendance options, bespoke reporting and user-friendly design combine to make our Time and Attendance software a world-leader in HR support. Inspire your team to tackle staff time and attendance head on; giving employees autonomy over their hours (and HR and scheduling teams more time back in their day) helps create an empowered, productive workforce. EmsphereTime and Attendance management software is cloud-based workforce management product for capturing employee data. ePro Scheduler combines employee schedule management, an online time clock & attendance, and payroll control, into one accessible tool. It is ideal for public service organizations like EMS operations, fire and police departments, 911 dispatch agencies and hospitals. Ettendra Labor 8.0 is a complete and integrated Labor Tracking, Time and Attendance, and Labor Cost Control System that provides complete accountability and total control over employee activities and their labor and job assignments. Exeba Labor & Attendance Tracking Software "EXEBA-LATS" from Escan Technologies Corp. is a comprehensive, feature rich, and easy- to-use Labor Tracking and Time & Attendance system for any size business. Attendance and Labor Tracking is a supply chain management software that updates attendance and labor information in real-time, providing up-to-the-minute information. GET HRM is a tailored and up-to-date solution for organizations to manage their internal employee details. Hourdoc.com is a time and attendance software. Cloud-based HRMS that allows a corporation/industry to manage their HR activities including recruiting, budgeting, and reporting. Hassle-free tracking of vacation and sick days for all your employees - get up and running in seconds! The iFlow Attendance app allows you to manage your employees, working and overtime hours, vacation holidays or sick leaves, in just a few minutes. All the working hours and your staff's attendance data are ready for you in real time. Check out the information without multiple spreadsheets or piles of documents. ISGUS Time Management solution with shift, Absence,and annual leave scheduling, flexi-time tracking and reporting, staff scheduling, Production data capture and Access control. JANTEK ELECTRONICS provides time and attendance systems designed for small businesses of less than 50 employees to corporations with thousands of workers worldwide. Jupiter is attendance tracking software for businesses of various sizes. dormakaba is your reliable partner for secure and flexible access to buildings and rooms. Kelio Time Management System include multiple schedules control, rotating shifts management, overtime calculations, and holiday and absence tracking. A payroll solution with integrated leave and expense modules, payslip generator, employee management, business data reports and more. It works right out of the box, allowing payslips generation, leave application and expense claims, based on auto-seeded HRM policies localized to your country, or a generic one. Labor Time Tracker is a telephone and web-based employee attendance tracker. LightWork Time is a time and attendance program designed for companies with single or multiple locations and easily accommodates remote employees. Both managers and employees can input employee time at intervals specified by your business. 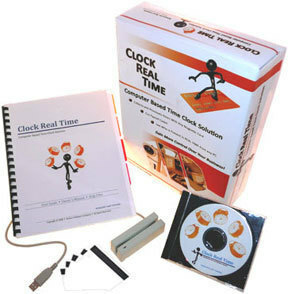 Time can be entered via desktop punch, kiosk punch, or biometric/swipe timeclock. Logeto is a clear and comprehensive application for recording work and attendance. It is suitable for everyone from individuals to large companies. A comprehensive cloud-based payroll solution integrating roster, time and attendance, payroll and reporting for your business. Microkeeper is helping Australian companies of all sizes to streamline their operations, saving time, energy and money. TIME RECORDING TERMINALS FOR SAP. Automated timesheets are here. Mitimes does the hard work on timesheet recording, so you no longer have to. Our timeline-based editor allows users to quickly create shifts, move shifts, and undo (or redo) any changes. We employ algorithms to optimize schedules based on staff's preferred working hours, qualifications, and other business rules. Featuring Native Mobile Apps (Android/iOS), Time Off Tracking/Accruals, Shift Bidding System, Biometric or GPS Time Clock, Integrated Chat/Audit Trail, Multiple Locations.